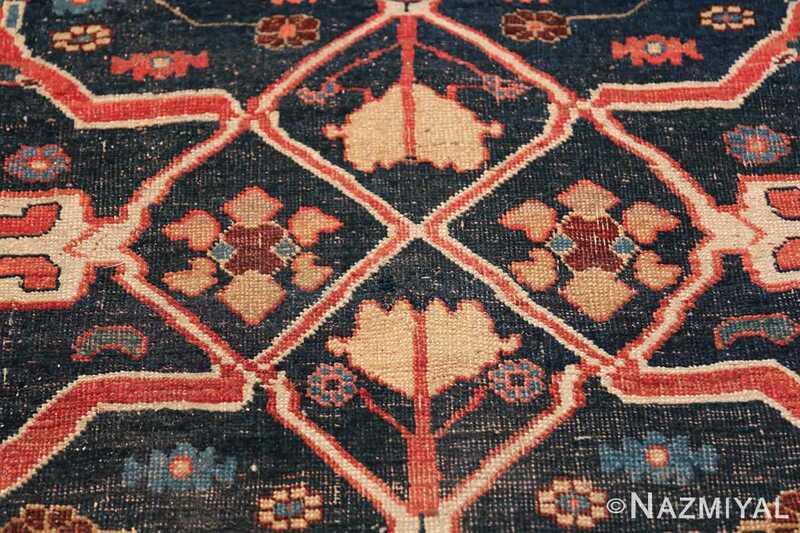 Magnificent Large Blue Garous Design Antique Persian Bidjar Rug 48307, Country of Origin: Persia, Circa Date: 1880’s – The magnificent pattern of this exquisite Persian rug begins with a narrow border resting against a — depiction of elegant and delicately rendered blooms. 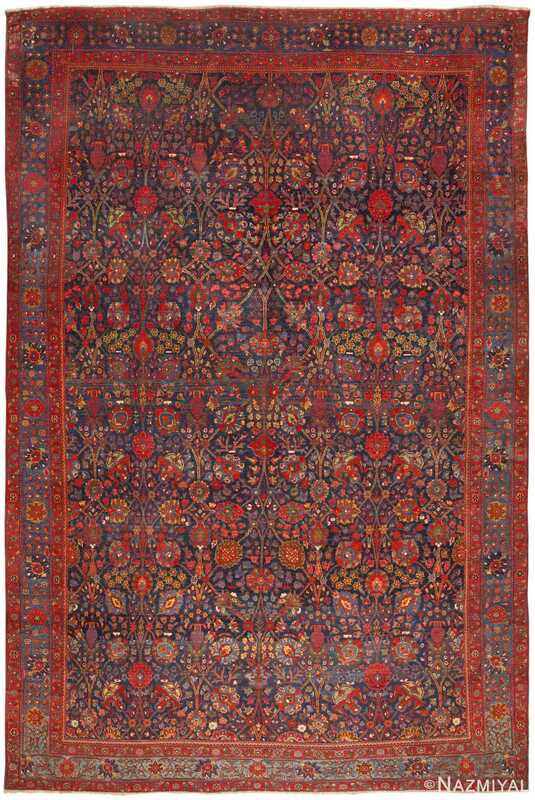 The flowers and their pale backdrop then give way to deep green overlaid with a deep red and gold, the form of which recall swirling flame. 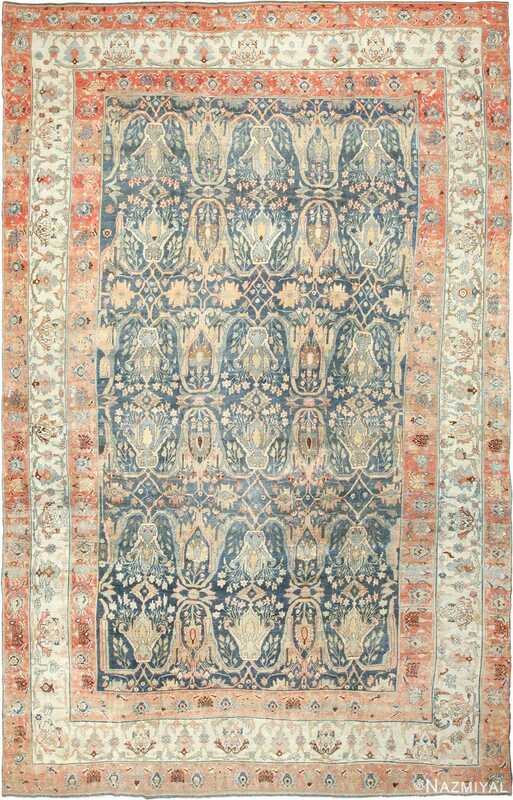 A second display of artful flowers cedes to a thin inner border breathtaking in its fine detail. This border frames the stunning array that forms the heart of this piece. The complexity of the pattern, the strict geometry and flawless structure, becomes increasingly apparent, ever more breathtaking, the longer one studies it. Depictions of flowers, trees, and other forms are captivating in their delicateness. 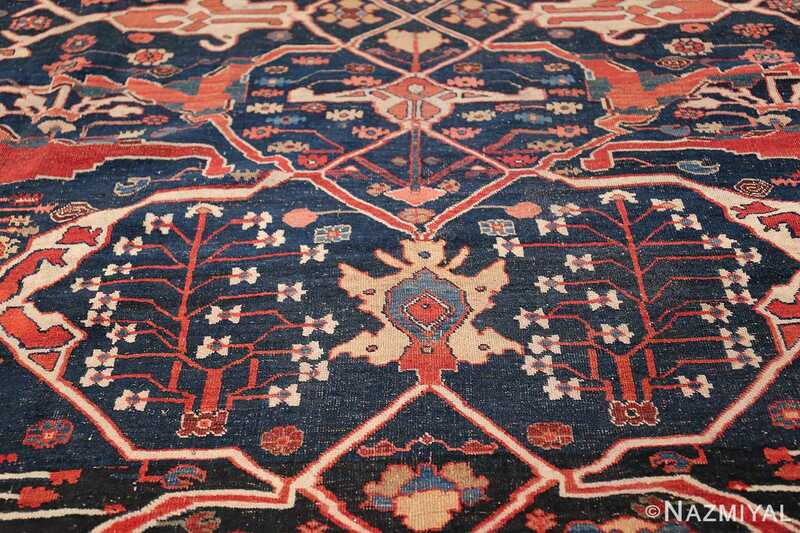 Yet these soft, flowing, seemingly whimsical designs are deceptive, for they form the core of a masterful structure that boasts perfect symmetry. 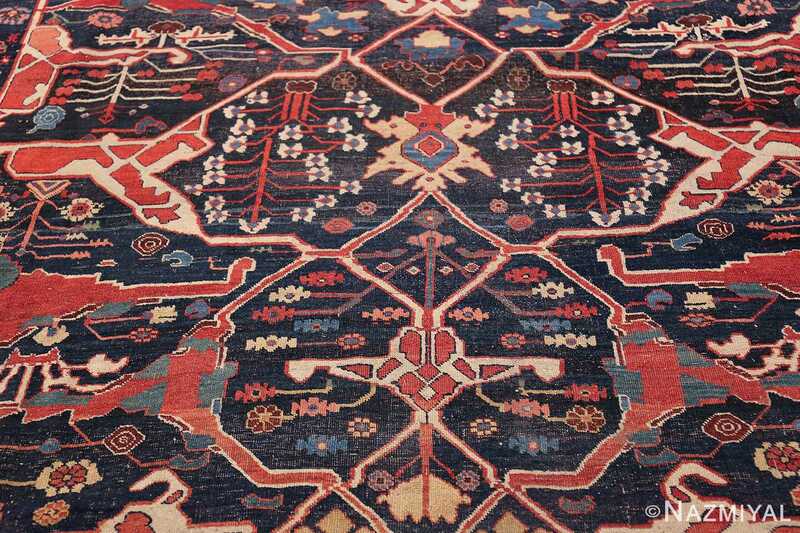 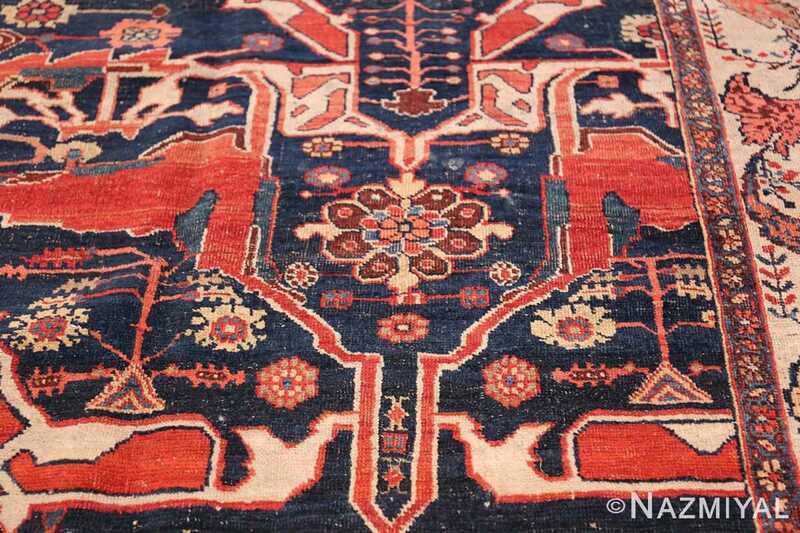 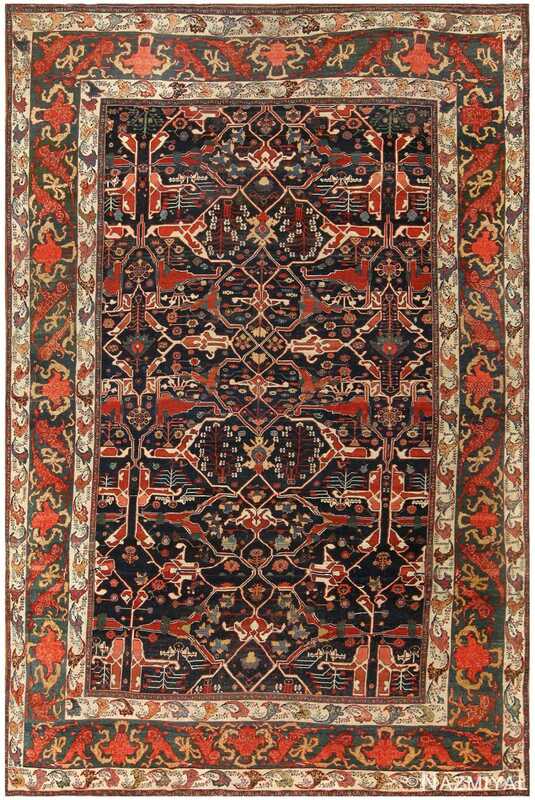 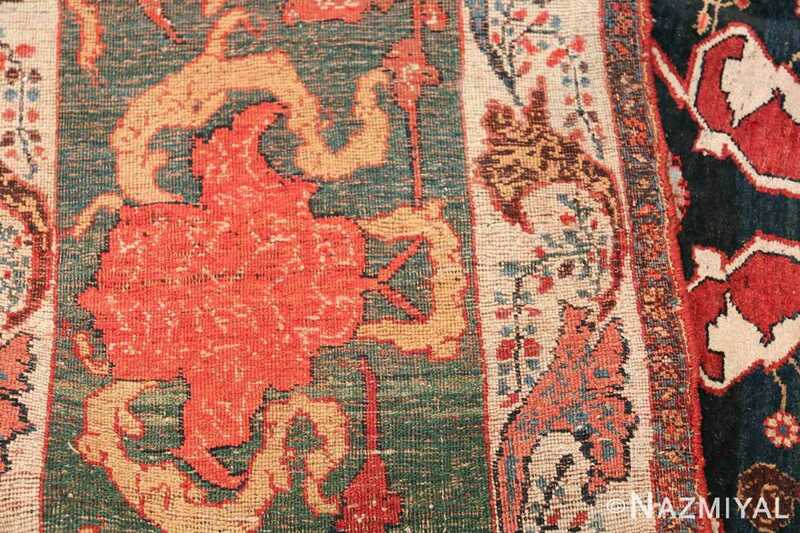 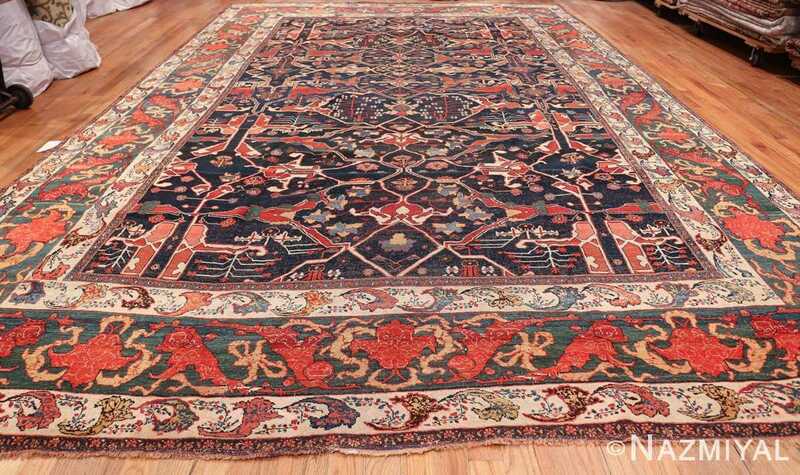 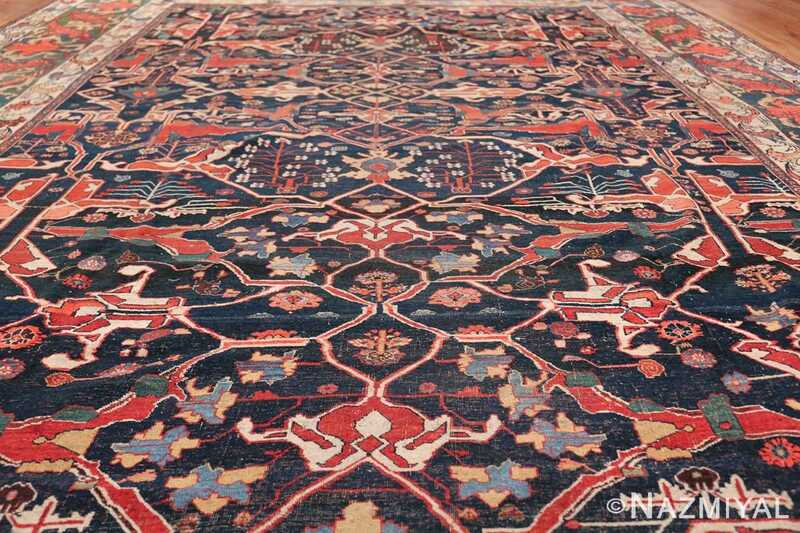 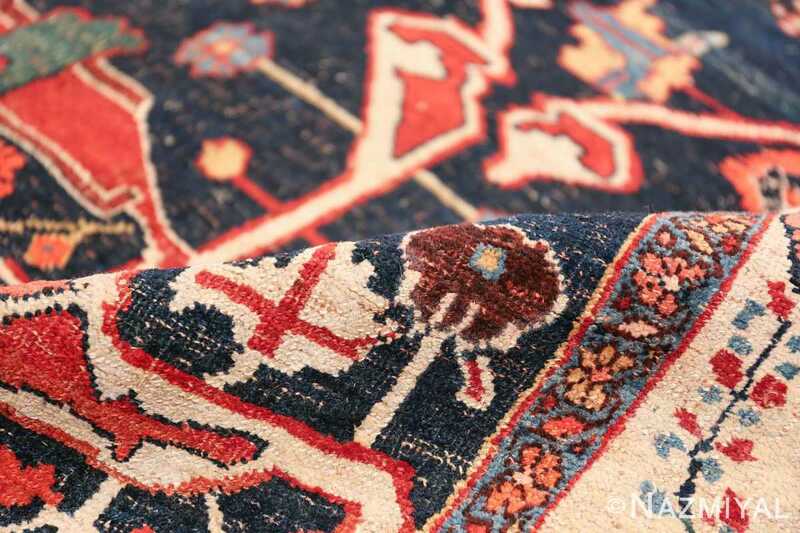 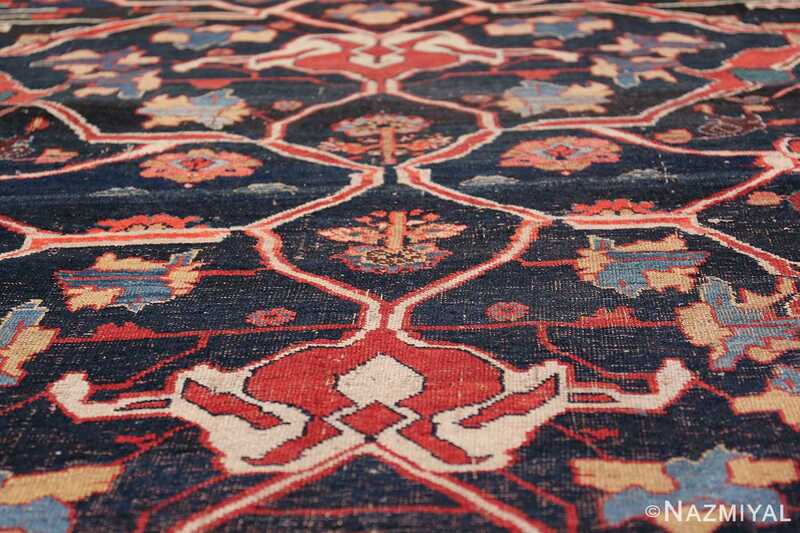 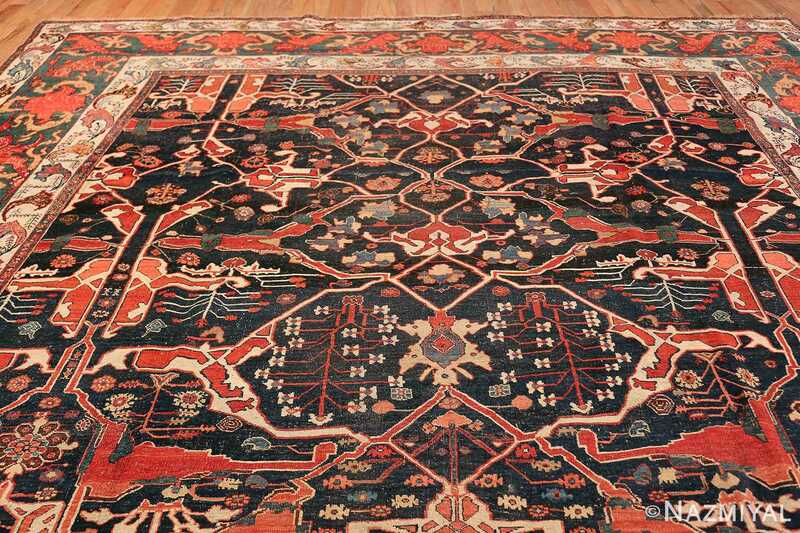 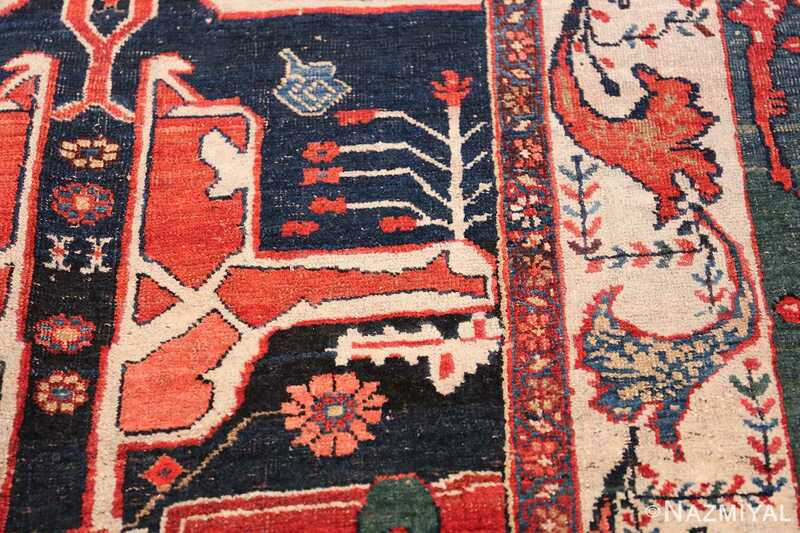 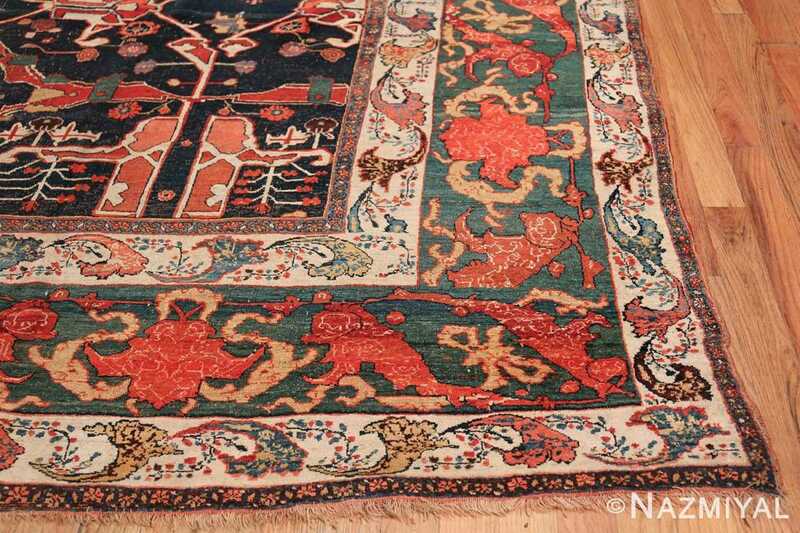 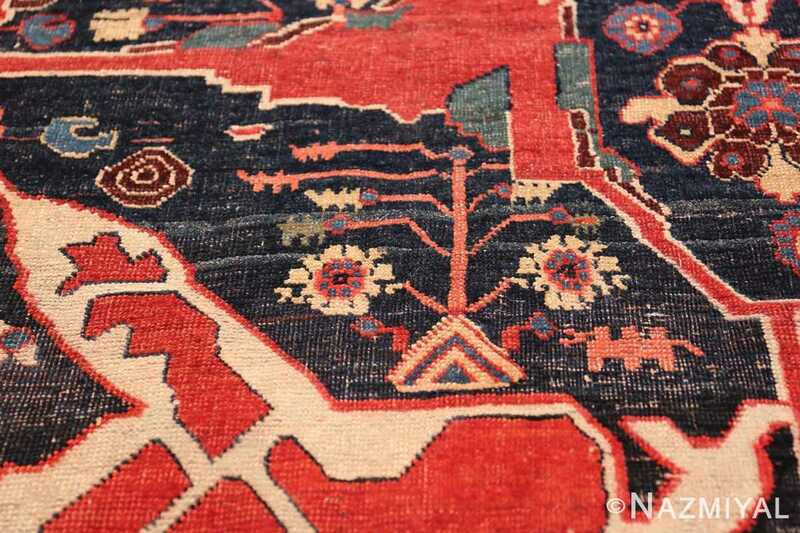 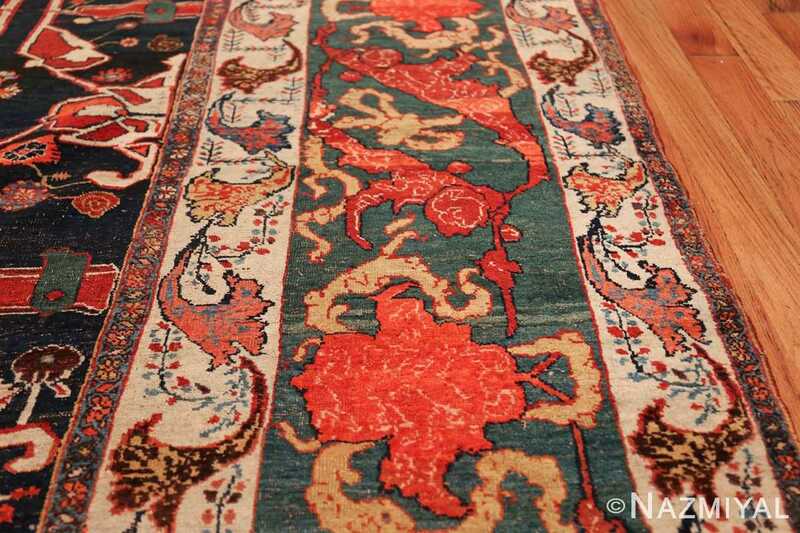 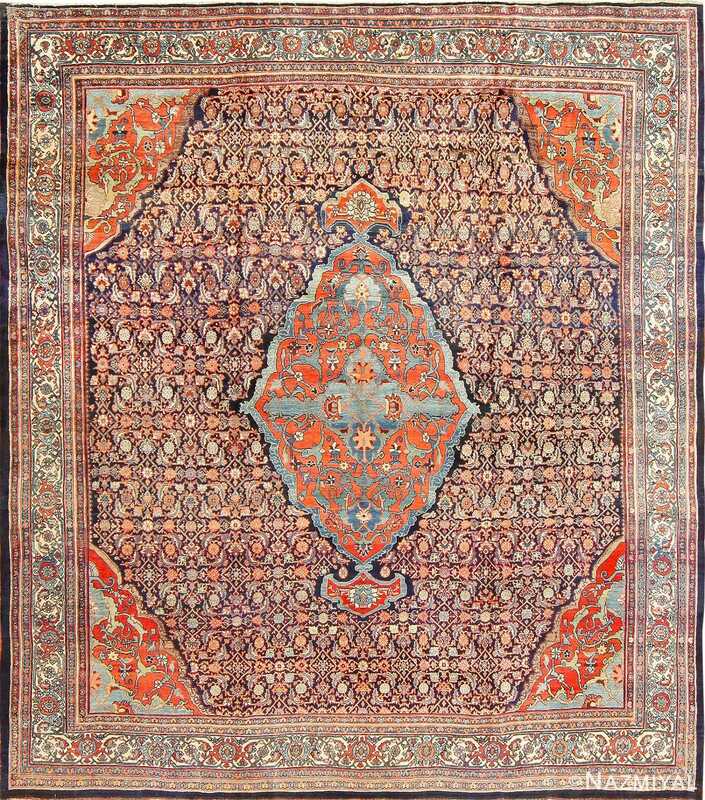 This superb antique Persian Bidjar rug is a sophisticated work of art.